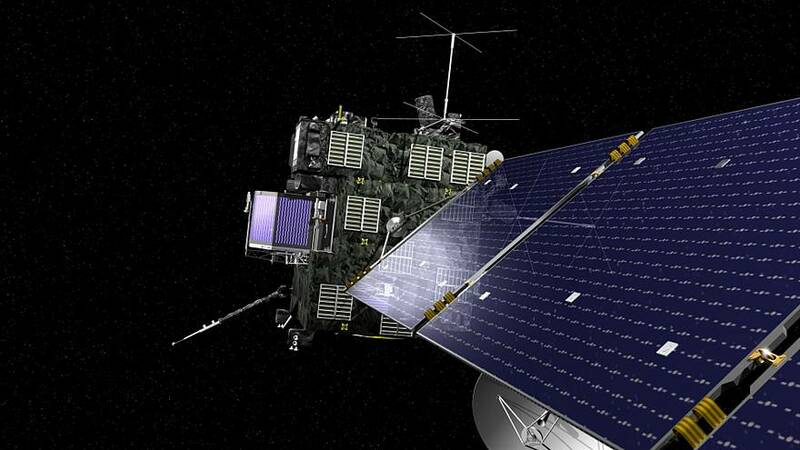 The European Space Agency has successfully crashed its Rosetta space explorer into comet 67P/Churyumov-Gerasimenko, after orbiting the astral body for the last two years. The 12-year mission is the first-ever successful rendezvous between a man-made object and a speeding comet. Rosetta arrived at 67P/Churyumov-Gerasimenko in 2014 and successfully deployed its Philae lander. Scientists are still crunching the data from Philae, which is hoped will provide clues to the origins of the universe as the comet is ancient matter believed to date back to the birth of everything. It is hoped the crash will provide a final burst of useful data, as the crash location is in one of the comet’s most active areas where there are gas and dust-emitting pits. As Rosetta has never been closer to the comet than 1.9 kilometres, it should also provide the most detailed pictures yet. The mission is now over, as Rosetta’s broken remains will stay on 67P/Churyumov-Gerasimenko for eternity, but it has been an enormous navigational feat. Rosetta hit its objective after flying some six billion kilometres and using several planets’ gravitational fields as slingshots to hit the enormous speeds needed to catch 67P/Churyumov-Gerasimenko. It could have a variety of future applications, ranging from the robotic mining of rare elements from comets to possibly piggybacking a comet for long-distance travel, or diverting the course of any meteor that threatens life on Earth.